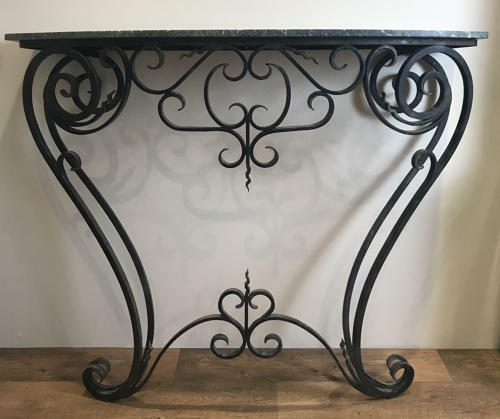 A stunning oversized French console table. With wrought iron frame and marble top. Circa 1960.